Remember, if you are still manually adding up time cards or handwritten sheets filled out by your employees, it is virtually impossible to ever have a 100% accurate payroll. Even if you are inaccurate by only 1% each pay period, that is costing your company hundreds or thousands of dollars annually. Why invest then? Implementing an automated time & attendance system will provide your company with perpetual return on investment – “ROI”. Right out of the gate you will be able to allocate employee resources better by using built in scheduling tools and having the right employees in the right place. By using an automated system, you can have the ability to see “who’s where” in real time. Built in analytics also provide that extra ability to see what your payroll is costing you. Want to see how automating will affect your bottom line? Need some talking points for executive buy in? We have come up with a simple three pronged example to break down ROI for automating your time & attendance system for you. 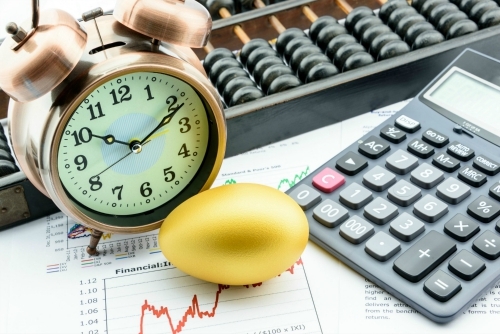 The financial rewards of automating time & attendance actually stretch much farther. To see a fleshed out 100 employee ROI example, click here. You will see that our basic 100 employee company example will result easily in a $59,000 savings-yearly. This example covers three main points for you. First, by automating systems you will gain rounding and punch restriction capabilities. This will largely wipe out “Lost Time”. By lost time we mean time theft; long lunches, breaks, tardiness, early departures, early clock-ins, etc. According to Robert Half Agencies the average weekly workplace time “theft” is four hours and five minutes. If you install biometric time clock devices you will also reap the reward of eliminating buddy punching. See Sierra’s blog piece on buddy punching for some great tips here. Second, with an automated system you will also strongly reduce the amount of time your staff takes to total and audit time cards. Studies have shown that manual totaling of cards takes approximately six minutes per card each pay period. After systems are configured, our clients will attest they are amazed at how little time it takes to process timecards and payroll. With system configuration you apply your company’s time rules (accruals, position-job rates, overtime rates, etc.) across your employees in an even, unbiased, stable way. By automating your time & attendance system you can reduce the timecard processing time down to one minute! Last, but certainly not least; with automation, you largely eliminate the possibility of some human error. Research has shown that inaccuracy in calculation of time to be from one percent to eight percent. By eliminating the possibility of data entry errors you will greatly streamline your process and prevent lots of wasted staff time allocated to researching and correcting data entry errors. One other aspect of ROI that cannot be directly tied to automation, but should weigh heavily on your move to purchase a time & attendance system, is the possibility of an employee lawsuit. With automation you will have a protected historical database of employee time entries. In the event of an overtime lawsuit you will have easily accessible secure data. Same holds true for ACA (Affordable Care Act) regulations that have started to roll out. When Sierra implements your time and attendance system you will have access to 5 pre-configured ACA reports-all of the employee information you need to reference and report to the government. We do the heavy lifting and have the formulas and formats ready to go! When you invest in a quality automated time & attendance system you will see the rewards year after year. We should have titled this blog piece “you can’t afford not to automate”! A small investment on your part will pay for itself easily year over year. Save employee time processing payroll, apply your pay rules automatically across your workforce and have a secure historical database of employee time. Start making time work for you today!